The SaaS & Cloud Computing forum with the topic “Continuous updating of software libraries in the cloud” that was scheduled for June 4th has to be postponed. A new date will be announced as soon as possible. VersionEye founder & CEO, Robert Reiz, will talk about „Continuous updating of software libraries in the cloud” on June 4th. The forum discussion is presented by SIBB Forum Saas & Cloud Computing. All software developers who want to know how they can keep their software projects up to date, and want to find out quickly and easily what dependencies are out-dated, should learn more about our convenient SaaS solution. 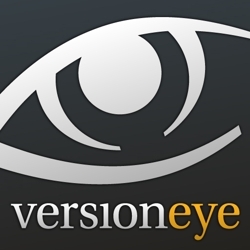 Using VersionEye you will be informed about new versions of your software libraries to be always up to date. Computer scientist Robert Reiz founded his third start-up “VersionEye” in Silicon Valley in 2012. Previously, he was Chief Architect and Managing Director for “WildGigs” in San Francisco and founder & CEO of the Java consulting house “PLOIN” in Mannheim. Today VersionEye has two locations in Berlin and San Francisco and a team around the globe.